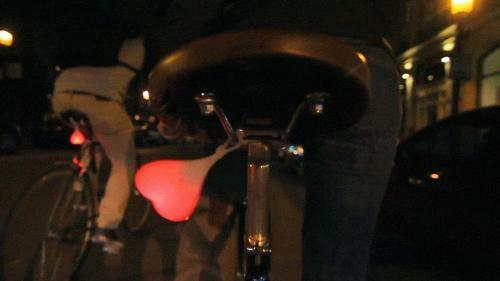 A Canadian team is currently looking for funding on Kickstarter for glowing Bike Balls, a rear bike light that’s designed to look – not to put to fine a point on it – like a pair of testicles. Is the idea nuts? Apparently, many people think the light rocks and pledges already total over double the funding target with 27 days remaining. “Bike Balls are more visible and noticeable than your average bike light, making you more safe and confident as you ride through the city streets at night,” says the Bike Balls team. “It takes grit, wit, and huge balls to ride in the city so show 'em what you got! They do too. Check out the video. Anyway, I’m sure you get the idea. You need to pledge C$13 (Canadian dollars, about £7) or more to get a set of Bike Balls of your own. Check out the project for yourself on Kickstarter.